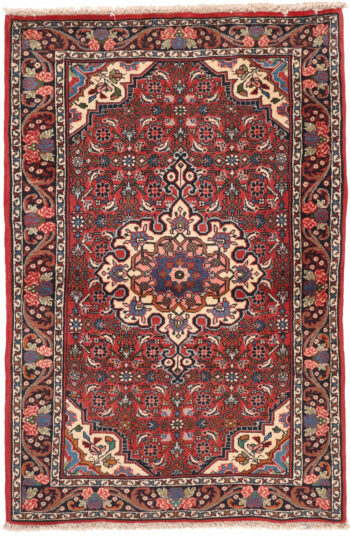 Bidjar (Bijar) rugs come from a region in northwest Iran with a predominantly Kurdish population. 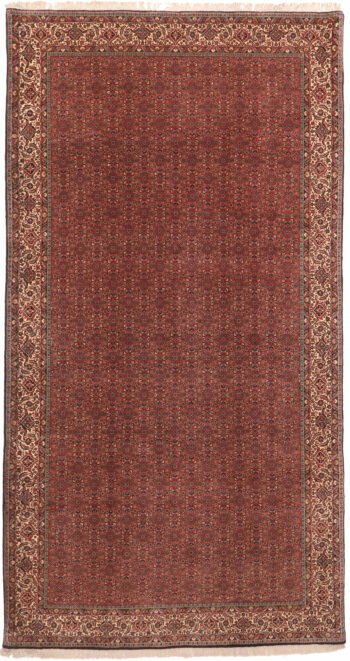 Most Bidjar rugs are woven by Kurdish weavers in village workshops and weavers from the Afshari tribe that settled here. 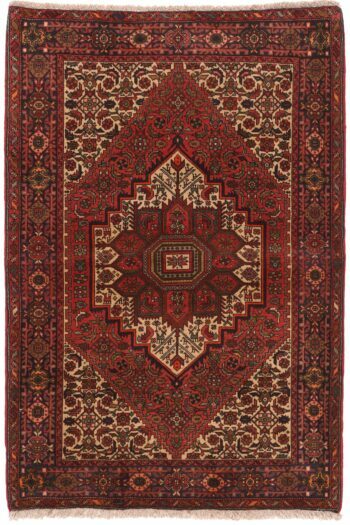 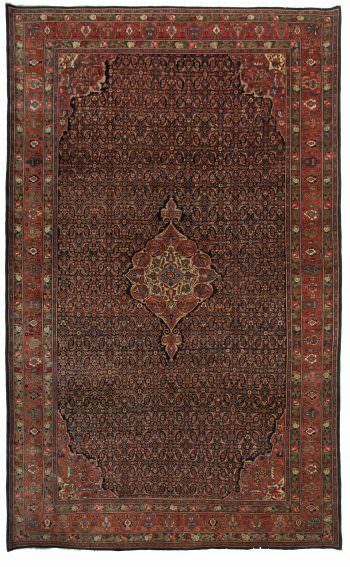 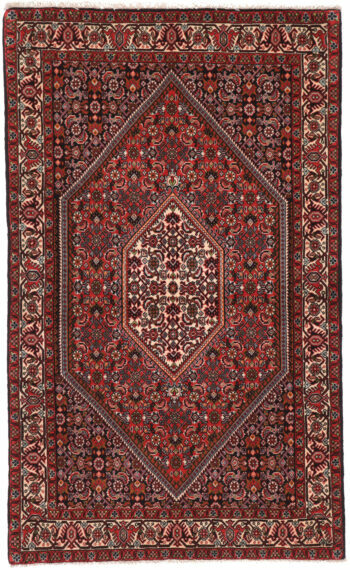 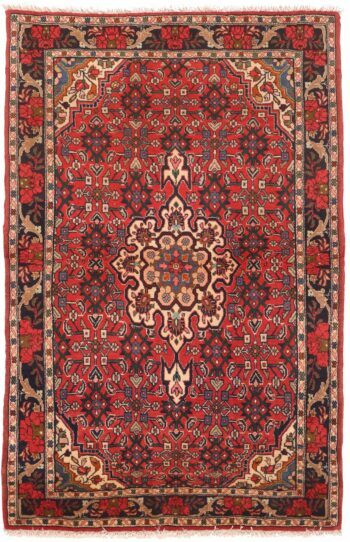 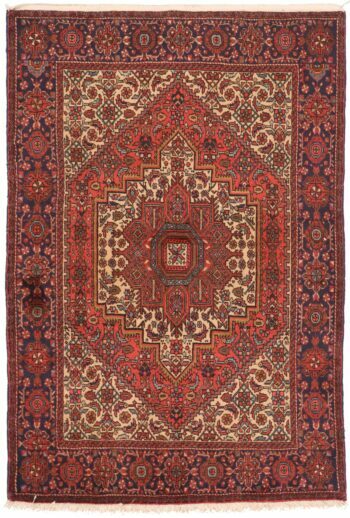 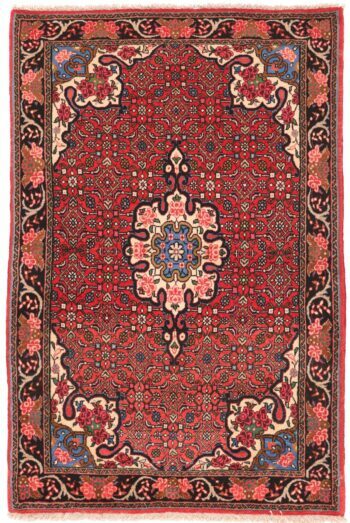 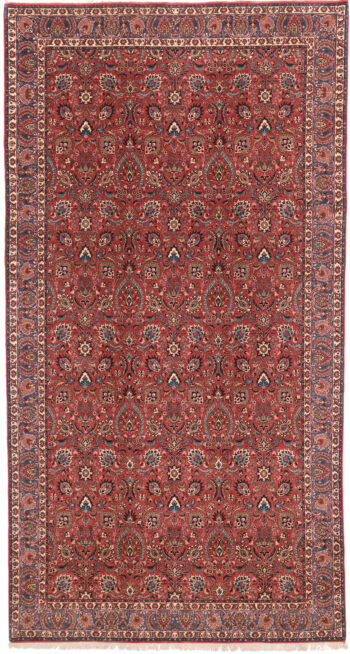 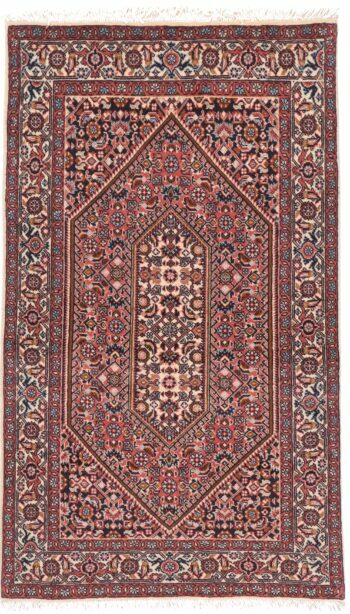 Bijars have been called the “iron rug” because of their unbelievable sturdiness, a bijar carpet is almost indestructible! 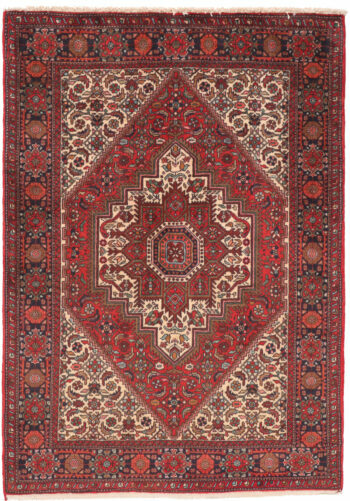 The reason for this is their main characteristic, the unique style of weaving. 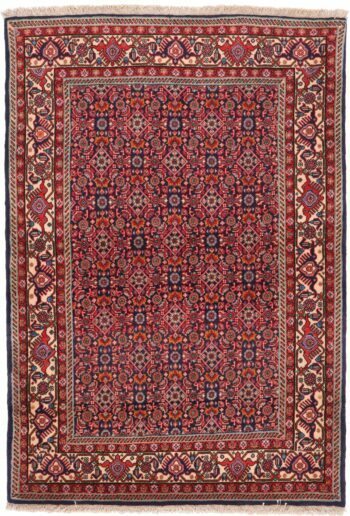 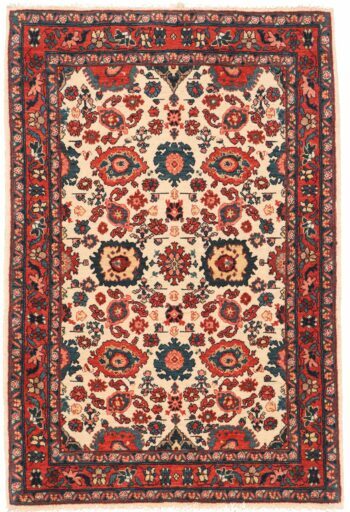 Modern Bijar rugs are usually double wefted and have a cotton foundation. 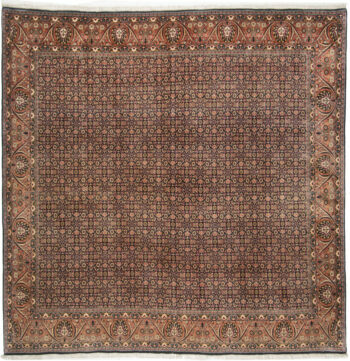 Antique Bijars were woven on a wool foundation had three wefts between every row of knots. 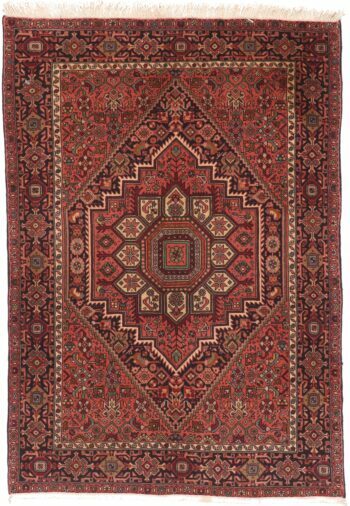 This makes the Bijar rug very stiff, heavy, and difficult to fold, it must be rolled for transport. 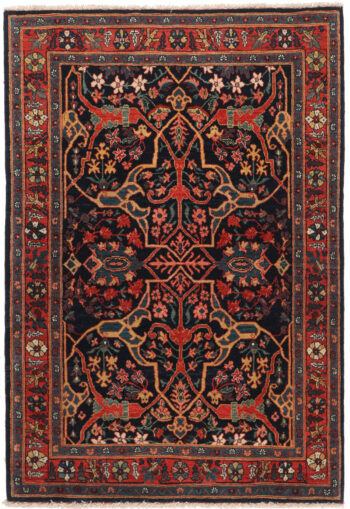 The majority of Bidjar rugs use the symmetrical Turkish knot, colors are mostly earth tones, dark blue, and a strong red. 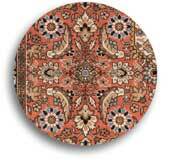 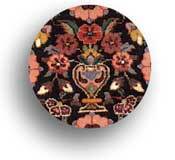 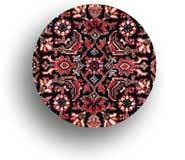 Common designs are Herati, Mina Khani, medallions and all-over patterns with multiple borders.